Mio the county seat is located approximately in the center of Oscoda County. 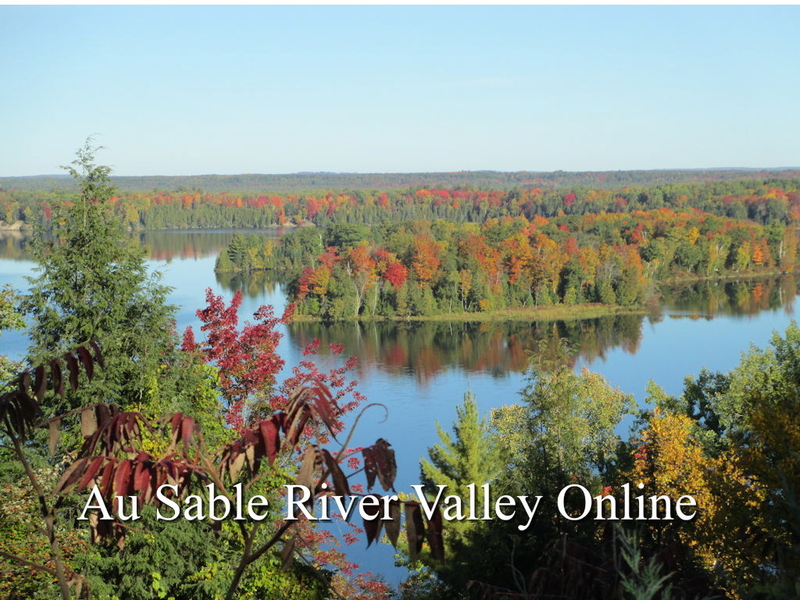 Located on the Au Sable River, near the Mio Dam, the community attracts many trout fishermen and canoers. The Blue Ribbon Trout Streams surround Mio are of special interest to trout fisherment Bird-watcher from all over the world come to Mio to view the endangered Kirtland’s Warbler that nests in the area. Tours of the Kirtland’s Warbler habitat area are available through the U.S. Forest Service office in Mio. Oscoda County Park and several National Forest Campgrounds near Mio provide accomodations for campers. The Mio area also has numerous rental cabins, motels, resorts and fine restaurants to accommodate visitors. The National Forest ORV trails located south of town attract many off-road vehicle operators. Mio also provides snowmobilers using the state snowmobile trail system with access to lodging, dining and fuel. The downtown area has several sporting good stores, bait & tackle shops and other specialy shops. Other attractions include the Oscoda County Court House and Our Lady of the Woods Shire, both located downtown. The courthouse is one of the oldest wooden structures of its kind remaining in the state. Our Lady of the Woods Shire houses replicas of Madonna shrines from around the world. Mio is an unincorporated community governed by Big Creek and Mentor Townships in Oscoda County. Big Creek Township Hall: Deeter Rd., P. O. Box 197, Luzerne, MI 48636, (989) 826-5992. Mentor Township Hall: 216 E. 10th St., Mio, MI 48647, (989) 826-541. The village was founded by Coolige Comins, John Randall, Henry Deyarmond and Reirlo Fosdick in 1881. John Randall became its first postmaster on May 3, 1882, with the office named Mioe, for Henry Deyarmond's wife, but it was renamed Mio on November 21, 1883. Informational excerpts from Michigan Place Names, by Walter Romig, L.H.D.